For cancellations notified more that 48 hours before check-in time on the scheduled date of arrival – no charge. For customers who fail to show for their booking – we will take payment for the first night of your stay and cancel the remainder of your booking. 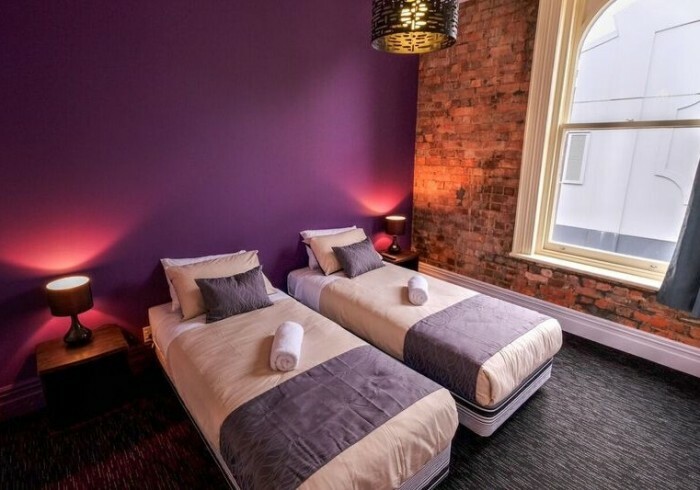 Haka Lodge Auckland is the perfect city hostel - smart, well located and surrounded by boutique bars and trendy cafes! Haka Lodge Auckland is located centrally on Auckland's trendy 'K' Road which means you are easy walking distance to Queen Street, Ponsonby High Street and Sky City Bus Station when you stay with us. The Lodge boasts a fully equipped kitchen, large communal lounge and purpose built movie room all decorated in the usual Haka contemporary style. Enjoy free unlimited Wi-Fi, great security features, and clean modern facilities. Stay classy - stay Haka Lodge!